legacycentral bbs • View topic - Twin Turbo BE5/BH5 TMIC on EJ20? Post subject: Twin Turbo BE5/BH5 TMIC on EJ20? Searched, read for hours, still no solid answer. It looks to ME like it would work by using some custom piping, or maybe somebody already makes something that I don't know about. Thanks in advance for your help everyone! Post subject: Re: Twin Turbo BE5/BH5 TMIC on EJ20? What are you wanting to use this on, just a single turbo setup? I would think it'd be adding more complexity to your setup. I really don't know if you'll have the room to use those existing fittings. I wonder if an aftermarket y pipe kit would just bolt on? That's what I'm wondering. A silicone one right? Yes and no. They make a kit that has both sillicone and aluminum pieces that bolt to the tmic itself. Care to bless me with a link, Good sir? Well when you put it that way, 300 bucks for a TMIC seems outrageous, even if it's name brand. I've bought 2 GReddy front mount kits, both complete, for less than 200 bucks. My personal opinion is find a good deal on an fmic, too many issues with heat soak on the top mounts. Here's a link to what I was talking about. Is it though? The high end stuff is normally at least twice that price for a tmic. With my build I've been taking my time to find the perfect parts for my vision. 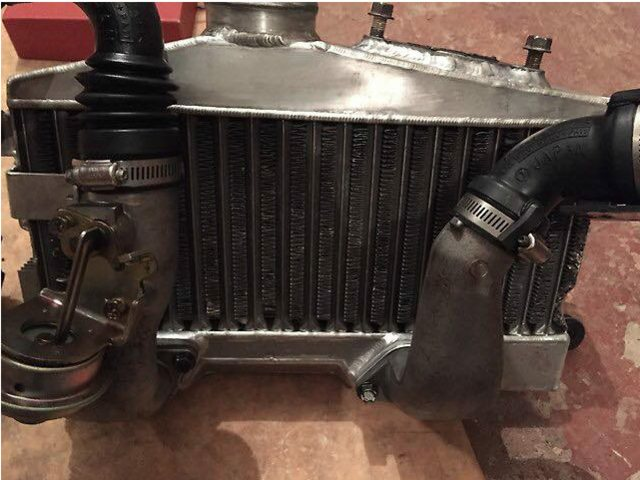 I've thought long and hard about what intercooler to go with and saw benefits both ways, but when this tmic was offered to me it kinda made up my mind. I don't want to get it if ts just not going to work correctly, but otherwise it's exactly what I'm looking for. Let's take the money aspect out of the equation, will it work if I either buy or fabricate the proper Y pipe, like the one you linked? I hope I'm not coming off as a jerk, I promise that's not my intention. You're not coming off as a jerk at all, and I hope I didn't come off that way either. It would be cool to know if the tmic kit I linked works out for you for future reference to other members that may get the same opportunity you have. If you want a tmic, I say go for it. Worst case scenario you might just have to re sell parts. Based off the pictures, it does look to me like it could work out tho. You're going to run into problems using that tmic on an ej20k. The bpv will interfere with the iacv. Nothing that wouldn't be worked around, but it won't be a direct replacement. 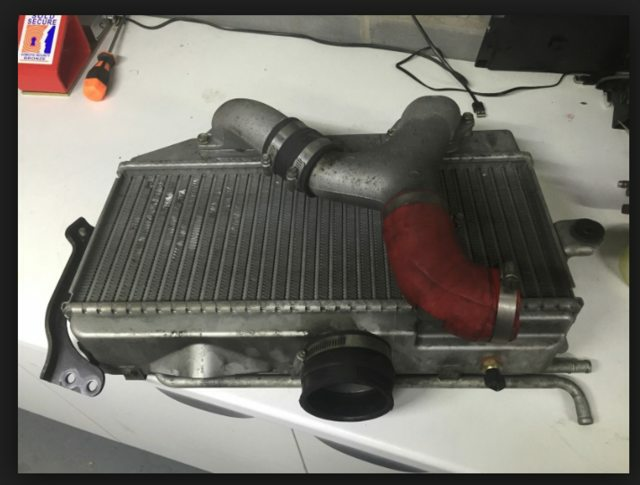 I've seen several people who single turbo convert the TT legacys and keep the stock tmic by using that same type y-pipe kit.